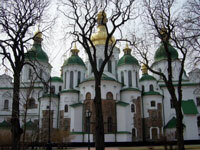 Although the city has seen many highs and lows in its long history, Kiev's cultural attractions are a constant, guaranteed to occupy sightseeing travellers. 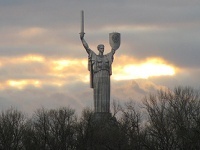 A leafy capital city, filled with old domed buildings and evidence of new wealth, Kiev is still largely untapped as a tourist destination - by European standards - and promises some surprises, part old-school Russian and part 'New Ukrainian'. 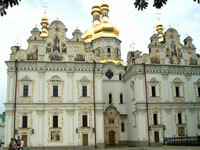 Highlights in the city include St Cyrill's Monastery, a tiny, 12th-century church with some incredible restored frescoes; the UNESCO-listed St Sophia Cathedral; the Great Patriotic War Museum and the Motherland statue which looms above it; the National Chernobyl Museum, which details the tragic events of the nuclear accident which shook the country in 1986; the riverside Mariyinsky and Khreschatyk parks, perfect for a stroll or a jog; and the fascinating Kiev-Pechersk Lavra Monastery. 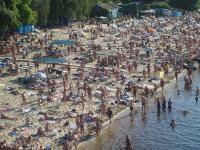 On hot summer days visitors will enjoy boating and other watersports and games at Kiev's popular Hydropark.